Cowhide House Concerts – Seite 32 – Wohnzimmerkonzerte | Schwalbach a.Ts. November, when the day get longer and darker, the wind plays with fallen leaves and fog slowly rises from the meadows. 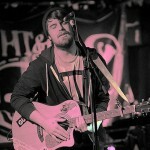 This is the perfect month for the honest and haunting songs of Adam Barnes (http://adambarnes.bandcamp.com), an Oxford born singer and songwriter and an honest performer waiting for some more people to take a step back and listen in. We are very happy that he stops on his tour to play in our living room.